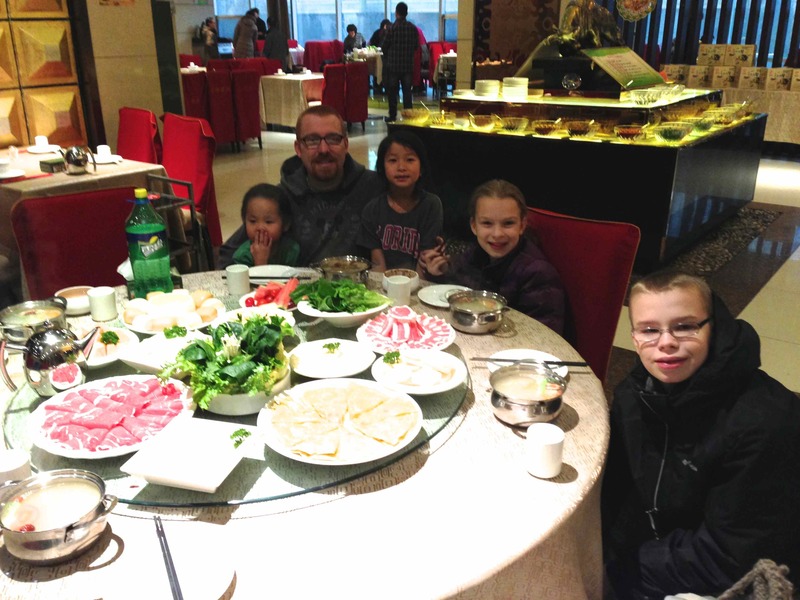 We have used the last days of our holiday break to do a few of our favorite things…hot pot and ice skating ice sledding. We might not have public playgrounds for kids or malls to walk around, but there are some fun things to pass the time in our city. 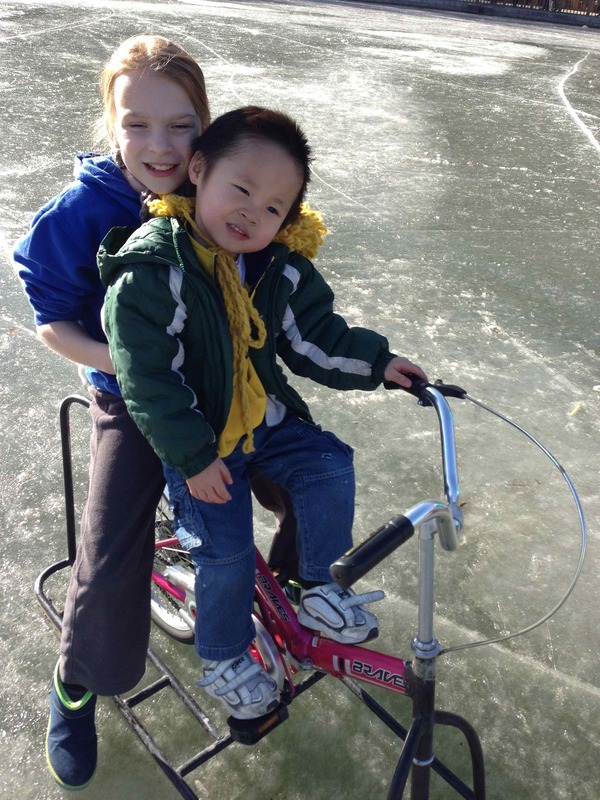 Sledding and bike riding on the frozen lake is definitely high on our list of fun things. 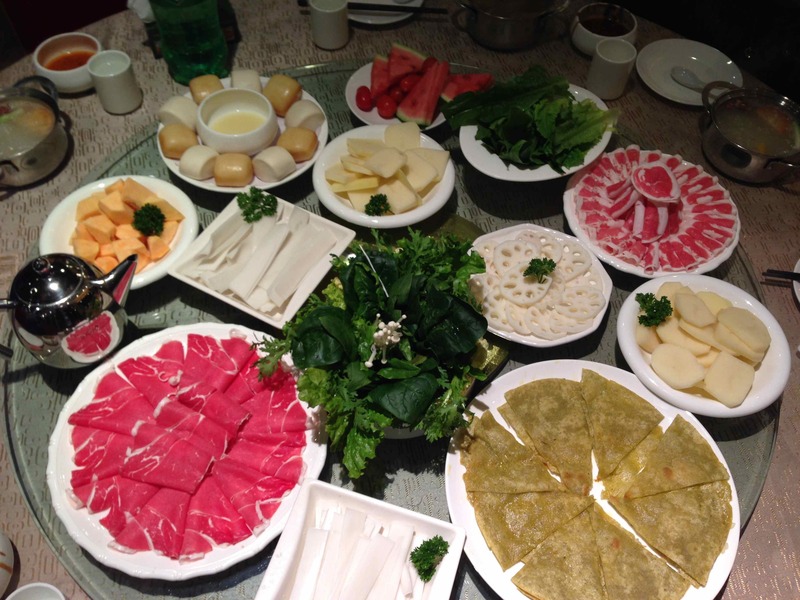 Our family tradition is to eat hot pot on January 1st. Everybody gets a tiny soup type pot sitting in front of them and you cook your food in that pot. It is kinda like fondue, but even yummier! It also is a bit exciting with an active four year old. Little Man + a boiling pot + raw meat = entertainment that borders on danger. 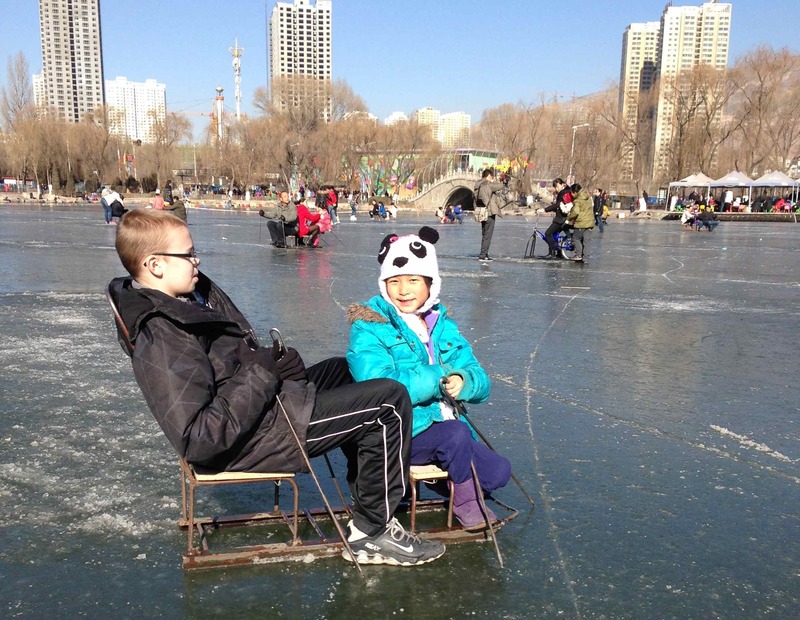 Ice sledding…you might wonder what that is. In all my yankee days I have never seen anything like it. 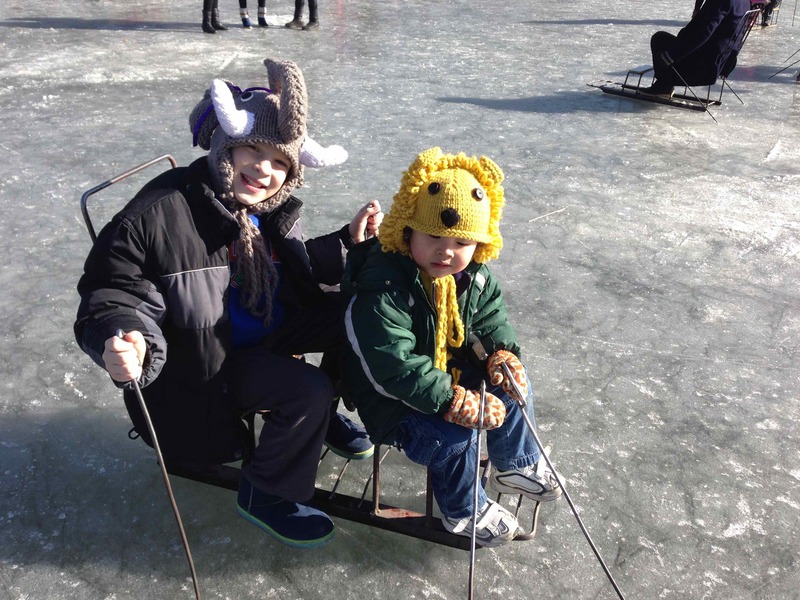 Sleds are fit with blades (like what are on ice skates). 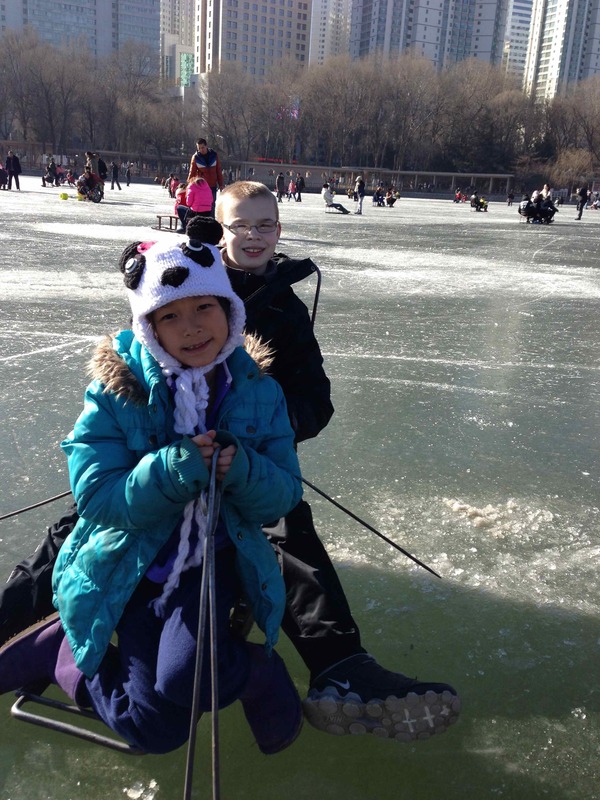 You use metal poles to push yourself around on the frozen pond. 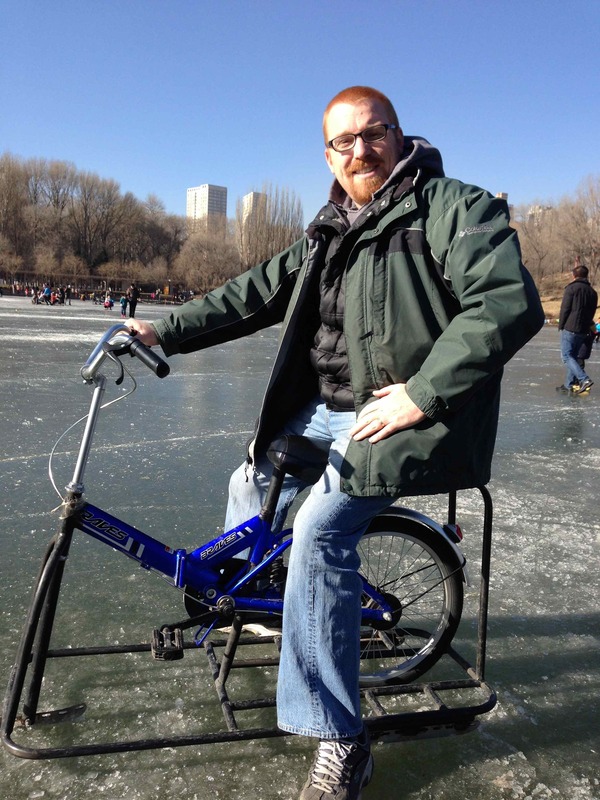 They also have bikes that run on blades and are propelled forward by peddling. Super fun but so hard to steer and stop. There is a theme to the fun in our city. It all tends to be border line on dangerous. Just kidding. Kinda. 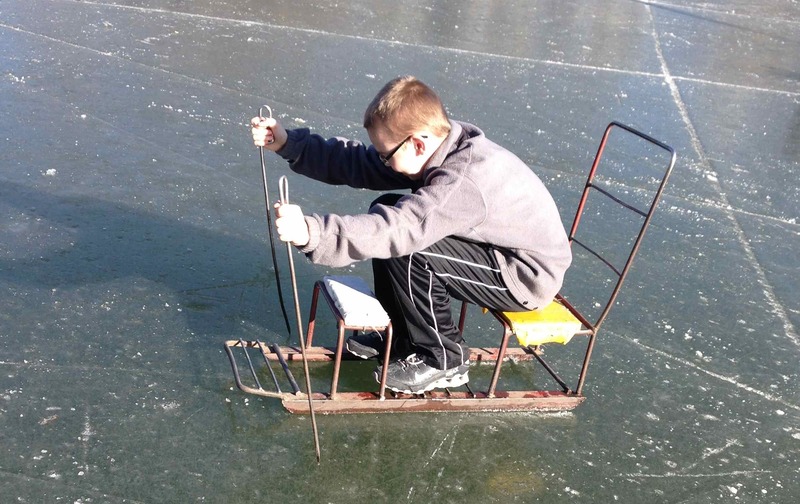 Our Northern peeps really should think of starting a business with these sleds! 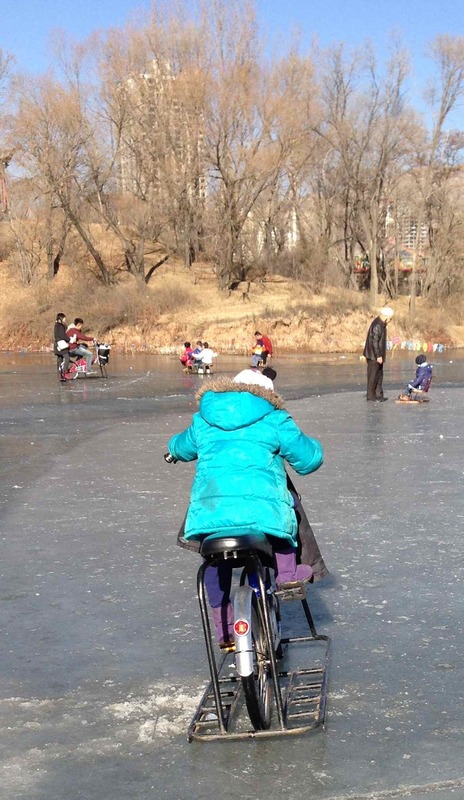 Anyone who wants to brave the cold and visit us in the winter, we will totally take you for spin on this lake! Butterflies in my stomach…I have had them ever since I was called in for a meeting at the orphanage. Children’s Day (like Mother’s Day or Father’s Day in the States) was quickly approaching and they asked me to help make it special for the kids. It was the first time they asked me for help. Usually it is the other way around….I offer help and see if they approve it or even want it. This was a huge deal for them to approach me and I was excited, but really nervous wanting to do well. We planned two events for kids this past week with the help of some international students who are visiting Hubby’s university. Couldn’t have done it without these students who served and loved well! They blessed my socks off! 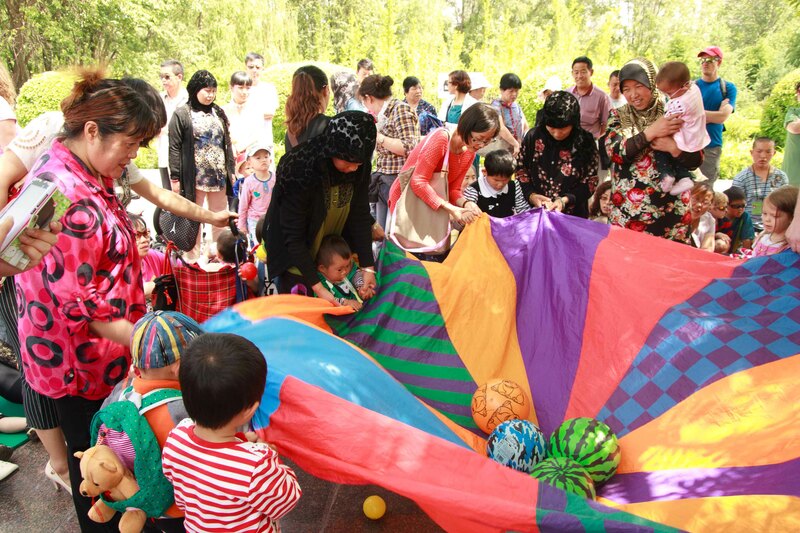 On Children’s Day – when the park was filled to the max with families taking their children to the park – we also loaded up 12 taxis filled with volunteers and children. Each volunteer was matched with a child for the afternoon to be their buddy. 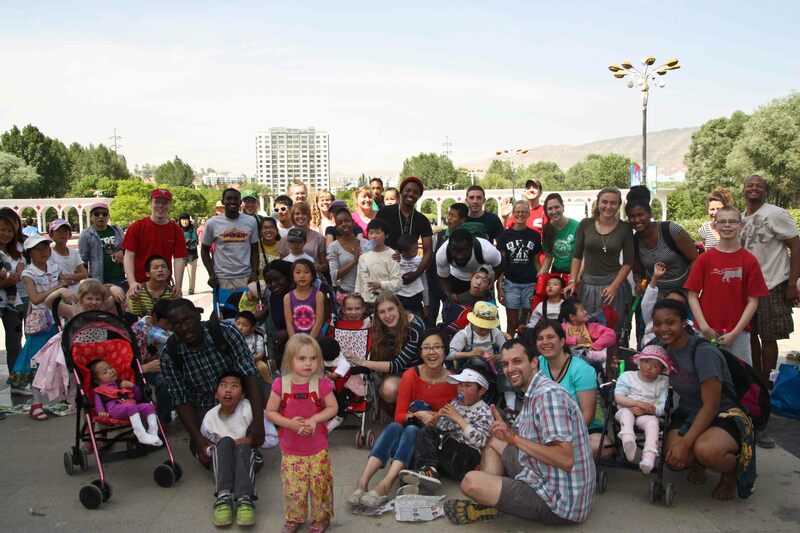 The orphanage staff choose the 20 children we could take to the park and I was thrilled to see that the list consisted mainly of kiddos who don’t get a chance to get out often – kids with severe autism, kids that are blind and kids who were unable to walk. It all made this momma sweat a bit thinking of being responsible for them. Any doubts I had flew from my mind as we wheeled them out of the orphanage. 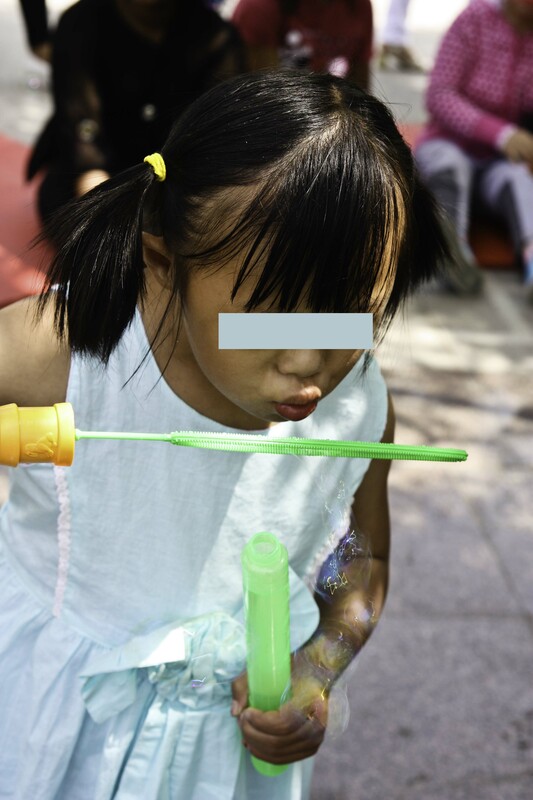 One boy, who I often feed dinner to on Monday and Fridays, called out “Kai Xin” (happy) over and and over as we placed a hat on his head and took him out into the sunshine. In that moment I would have signed over every Sunday afternoon for orphanage outings if they had asked me! The afternoon wouldn’t have been listed as the best ever Children’s Day in the book of most children. The group wheeled the kids around the park, we played with bubbles and finished the afternoon with a special yogurt treat and a Hersey’s kiss. The kids were content to watch people walk by and to have one on one attention for the day. They were not content with only one Hersey’s kiss! Note to self to sneak in chocolate treats more often! The second outing came about after another meeting. Word had gotten around that I had some friends helping with an outing for Children’s Day. The foster care department then asked me to help them with an outing for the foster families. If I was nervous about the first request….well this one gave me a heart attack. They asked us to plan interactive games and to train foster families how to play with children to promote physical and mental stimulation. “We know Americans parent differently and are very accepting of disabilities…show us what you do.” Ummm, yeah. No pressure. Heehehe. The second outing was even better than the first….for me at least. 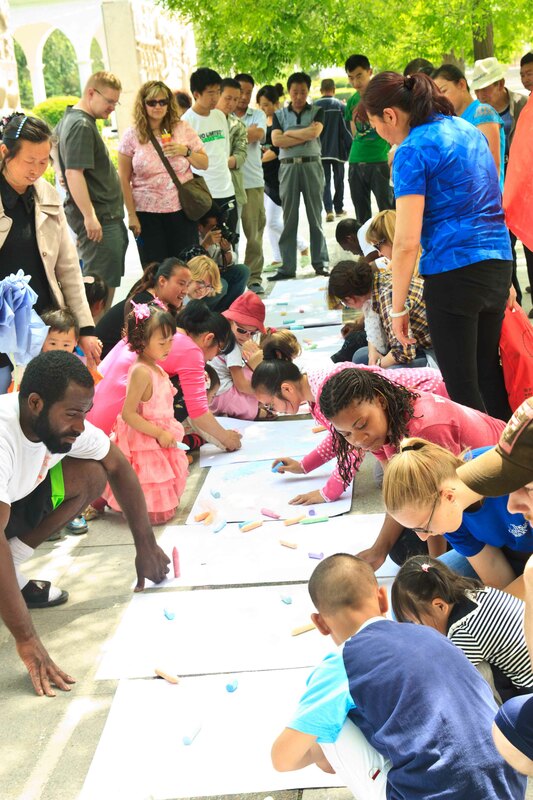 We had planned games using a parachute, exercises based on the Eric Carle book “Head to Toe” and sidewalk chalk art (of course!) 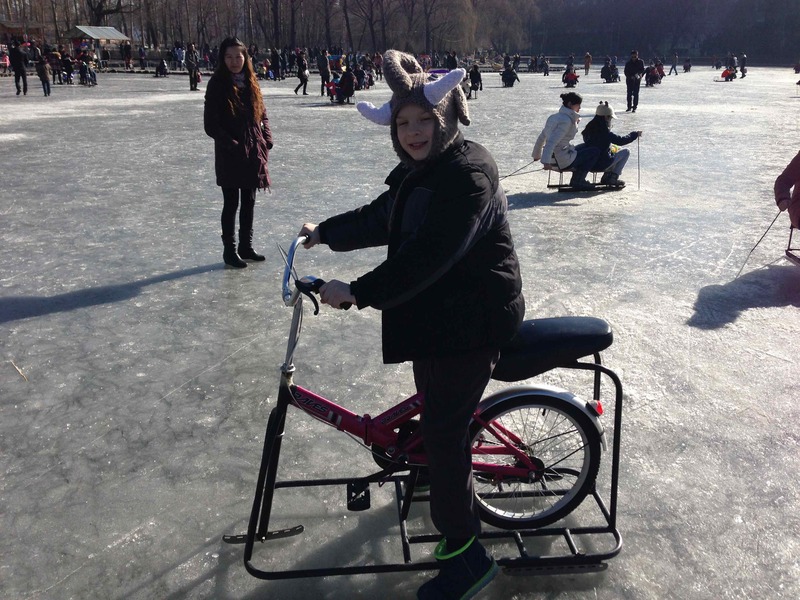 – but it wasn’t the planned activities going well that made the day a huge hit for me. In the midst of the party we were having at the park, I looked around at the 30ish foster families and their children and was overwhelmed. 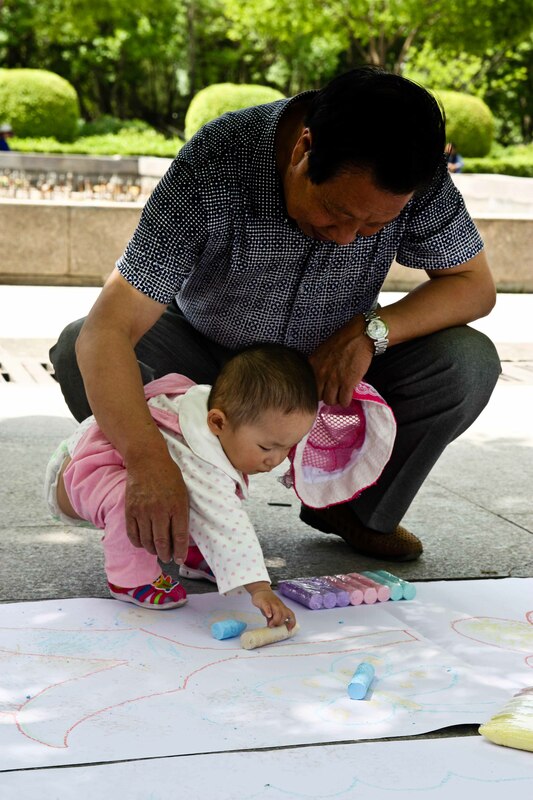 These families are caring for children – day in and day out – with needs like spinal bifida, limb differences, and blindness….just to name a few. They are going against the cultural norm and loving children who have been set aside. One foster mother told me about the 17 children she has cared for till their adoptions to the United States and then introduced me to the sweet one she is caring for now. With love she told me how this two year old girl still can’t walk, “but I have hope for her!” Wow. What love. What sacrifice. Because they gave me a gift. I don’t feel as alone anymore. I often look around the orphanage and see a need that is oppressive. This week I realized that some times the need can be met with something as simple as an outing to the park. I also have met a whole new set of friends who are battling the needs right along with me. So glad I ignored the butterflies and pushed through.